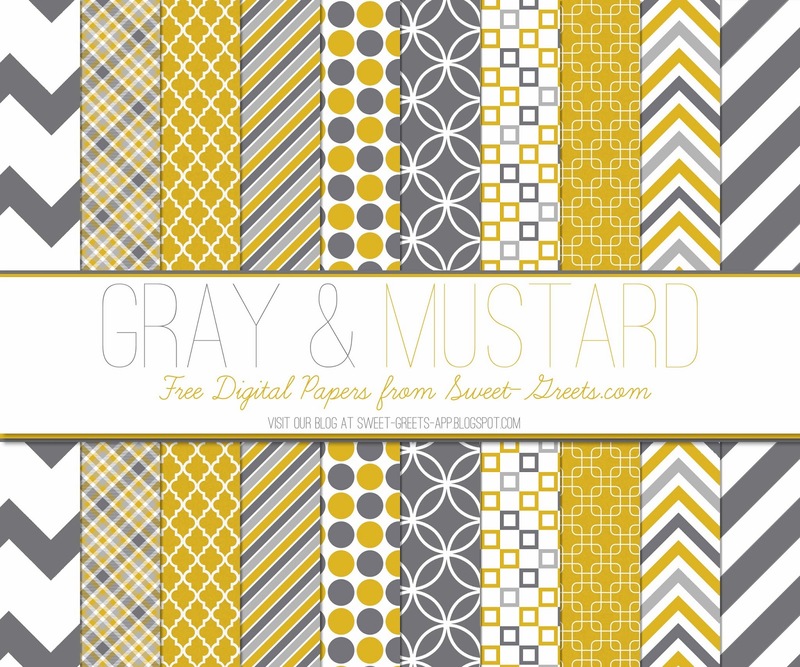 Here's a set of 12x12 inch digital papers featuring various simple but modern patterns - chevron, plaid, stripes, etc. - in very sophisticated mustard and gray. I see this color combo a lot in home decor and wedding blogs, and I really love it! Just click the image above to download. Feel free to use these papers for any scrapbooking, crafting and digital design projects. You can also use them commercially, just please provide credit to Just Peachy Designs and include a link back to this website. Also, I'd love it if you sent me a photo or link to your creations. Nothing makes me happier than seeing the amazing things people create with Just Peachy papers!